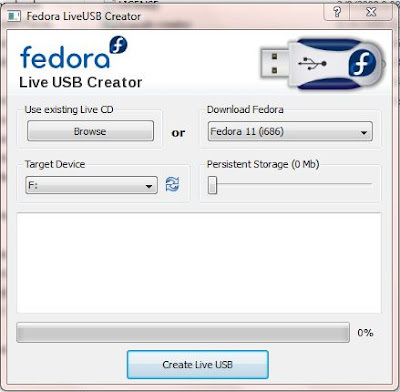 To make USB flash images, download liveusb-creator-3.7 free utility. But if your CD or DVD drive is not new, set the Speed to 10x for CD and 4x for DVD. In fact, these settings are recommended even if your drive is new. 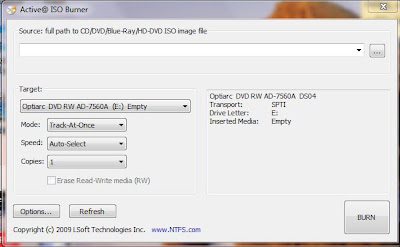 This prevents error in the data burned since you will end up burning data till the edge of the CD or DVD considering the size which nearly equals the total capacity of the CD or DVD. Then browse to the directory of the Linux OS image file and select it in the source box above. For the USB flash image, click the browse button and select the image file. Indicate the Target Device and create live USB. Reboot your computer and set the boot sequence to use DVD/CD drive and USB drive before Hard Disk. Voila! Your computer will boot into the Linux OS, just make sure you do not install the Linux yet, and choose 'Boot without installing' or 'Run without any changes to your computer'. Now you can tryout the Linux OS without installing it on your hard disk.